• Have a minimum 1 year experience fabricating/polishing stone countertops, backspashes, windowsills, etc out of granite, quartz, marble, etc. • Have basic mathematical and measurement skills. • Fabricators must adhere to our high standard of craftsmanship, attention to detail and quality control. • Possess strong organizational skills and communication skills (written and verbal). • Able to work in a team effort environment and also independently. • Heavy lifting, pushing and pulling of 100+ lbs may be required where equipment is not manageable. • Be able to stand for long periods of time. • Must be able to work a flexible schedule that may include working outside the typical schedule of Mon.-Fri., and overtime. Must be reliable and on-time. • All new hires must posses a valid Driver's Licence or valid Government Issued Identification. 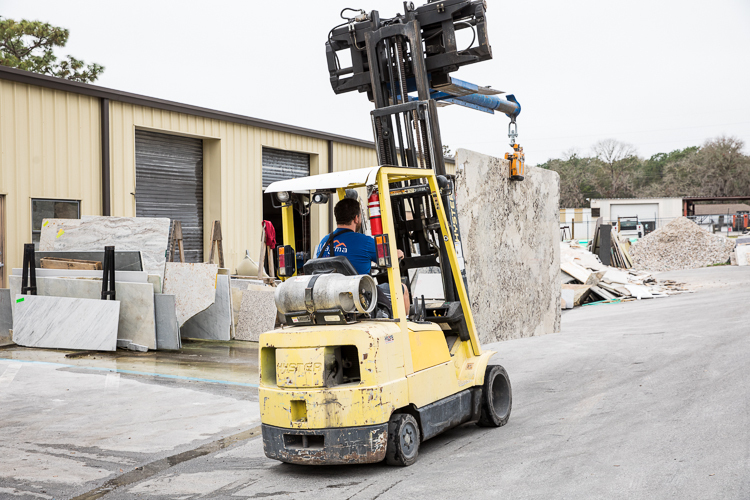 Thank you for your interest in the Granite Fabricator position. We'll be in touch soon should we feel you could be a good fit! Must have your own trailer. Must have workers compensation insurance. Must be able to perform onsite fabrication when needed. Thank you for your interest in the Granite Installer position. We'll be in touch soon should we feel you could be a good fit!